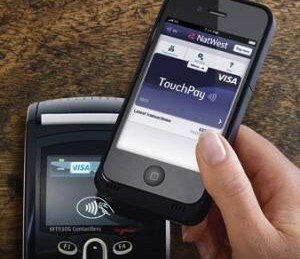 The Royal Bank of Scotland (RBS) and UK based NatWest have announced the launch of TouchPay— a contactless payments service for Apple iPhone 4 and 4S models. According to a report by Telecompaper.com, an NFC-enabled, protective cover accessory will power the service. The TouchPay service was initially available to a pilot of 1,000 customers, but there are plans for the service to be released to all RBS and NatWest customers with Apple iPhones sometime in the near future. 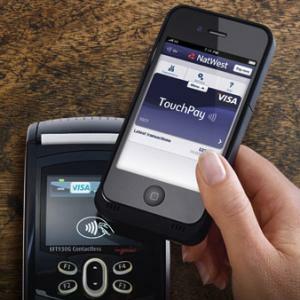 To use the service, customers need only attach the cover to their iPhone 4 or 4s device and follow the on-screen prompts to download the TouchPay app from the Apple App Store. Once setup is complete, users can use their smartphone for transactions of 20 GBP or less at mobile contactless-enabled retail outlets. The service not only eliminates the need to entering a PIN, but can also track customer spending through the TouchPay app. To ensure secure setup, Giesecke & Devrient’s TSM service will be used to authenticate the customer and for the secure over-the-air (OTA) personalization of customer data to the iCarte, which enables the service’s NFC payment functionality. For additional information about the TouchPay service and app, click here.